Home/Success Stories/Learn Exercise and Nutrition Tools For Success at Hitch Fit Gym! 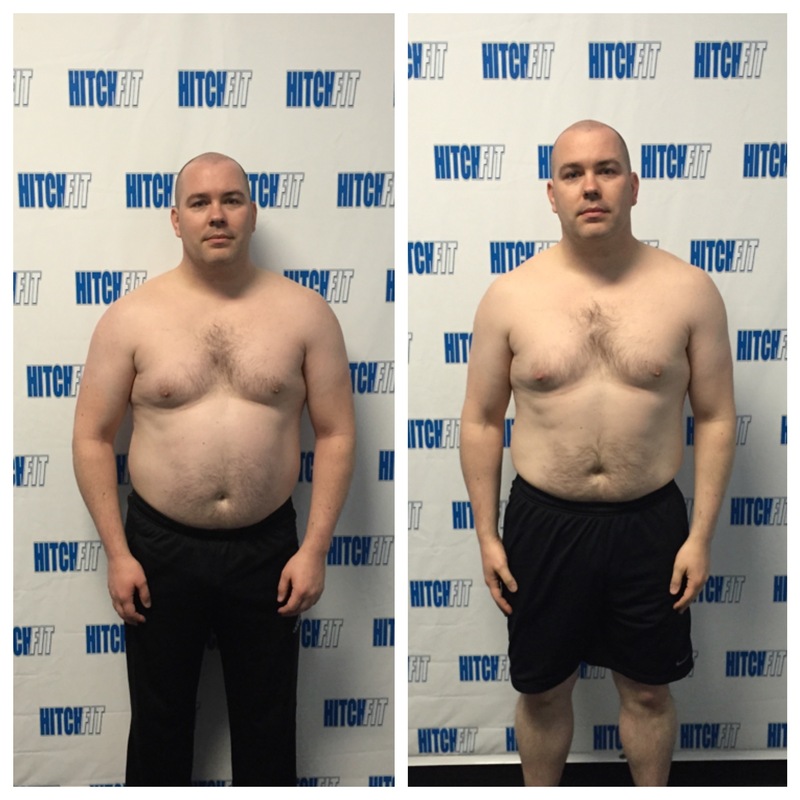 Learn Exercise and Nutrition Tools for Success at Hitch Fit Gym like Steven did! As an adult, maintaining a healthy body weight has been a continuous struggle. I’ve been successful at losing weight, but unfortunately even more successful at gaining it back and never seem to quite make the turn to maintaining it. Toward the end of 2014, after stepping off the scale, having gained all of the weight back that I had lost before, I knew i had to do something different – I had to get help from someone else. After searching, I found Hitch Fit and reached out to Micah and Diana, and they connected me with Deron Gamble. When meeting with Deron for the first time, we discussed my goals, challenges and past struggles. It was extremely difficult to take those first pictures and sets of measurements. First workout was even harder…. It was great though, and exactly what i needed. First things first, by helping setup a meal plan / dietary guidelines as well as setting cardio goals, it made our training sessions much more productive. Through the bi-weekly measurements, frequent check-in’s when not training and constant encouragement, I knew Deron was working to help me be successful for the long term. With the personal training sessions, we started with building back my cardiovascular endurance – my heart rate never dropped once we got started. Combined with the new cardio regimen, the first couple of weeks (Ha! all of the weeks) were really tough to get through, but after seeing progress with the next set of measurements, I knew it was worth the effort. The other great thing is as those initial exercises you struggled with, start to get easier, you start looking to see what you can do next. As we moved to about the half-way point of our training time, we shifted focus to more strength building. It was a great transition for me, as before hurting my back years ago, I had really enjoyed strength training, but had never quite gotten back into it after my vertebrate fusion. 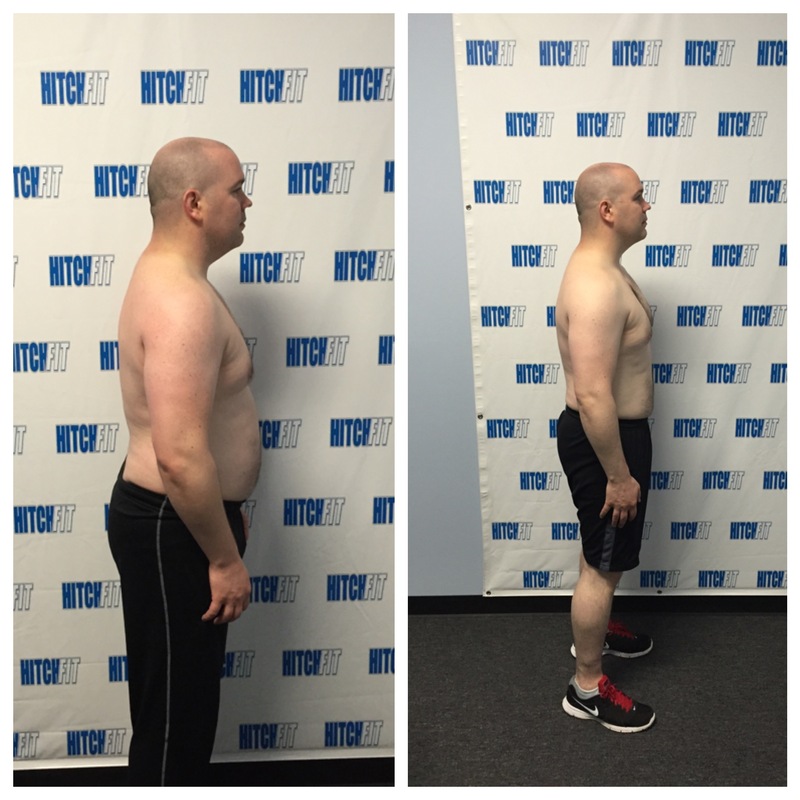 With frequent gains in strength, combined with significant, noticeable improvements with my endurance and the visible progress with my body fat measurements and weight, was thrilled with the outcomes of working with Deron @ HitchFit. With their focus on attitude, nutrition and physical activity – both in training and outside efforts, Deron and Hitch Fit help you to make that transformation – but more importantly have given you the tools to maintain and improve upon your efforts.